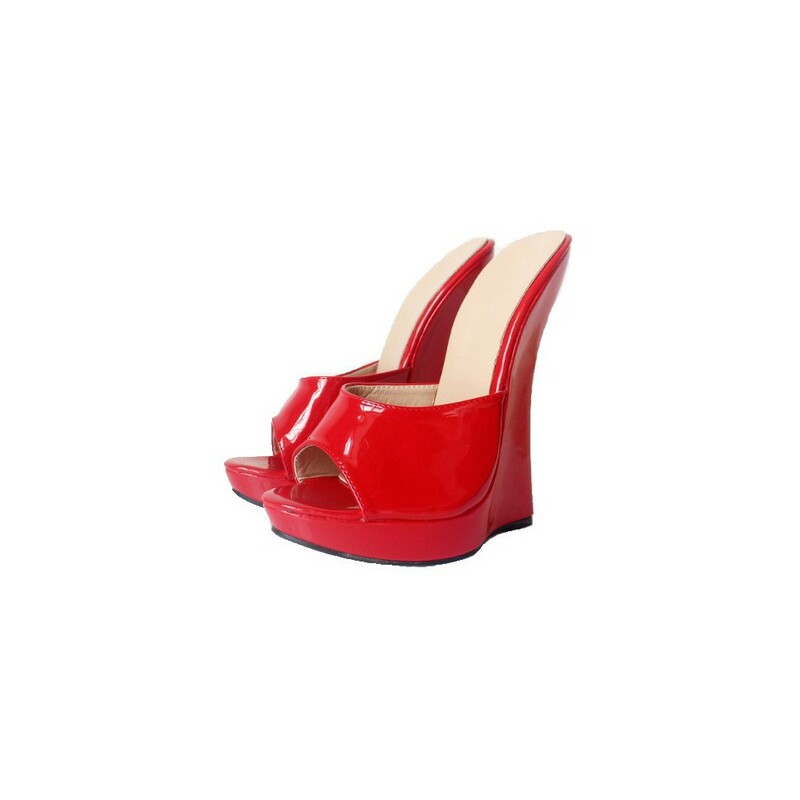 Lady Gaga styled fetish 7.2 inch 18cm wedge heel slides. Available in Black, Red and Pink. Size EU36-46. China.